Place spinach in a large bowl. 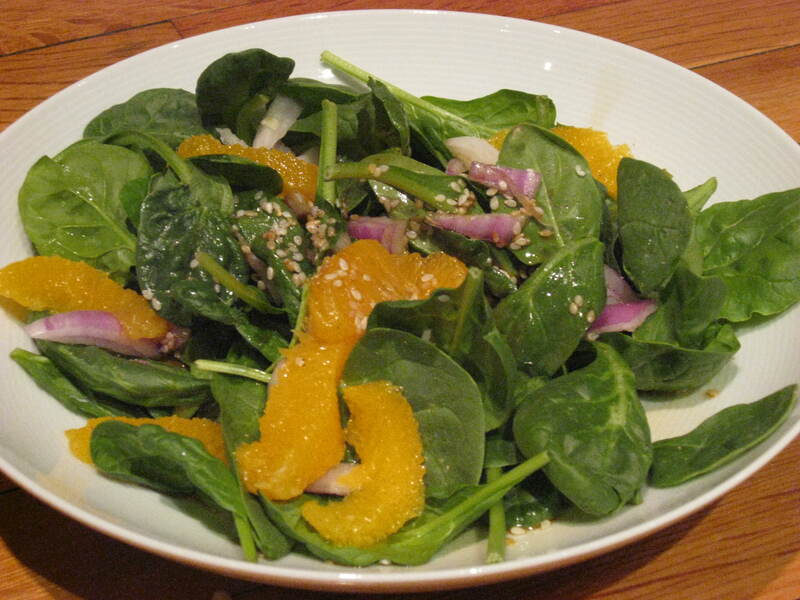 Toss onion and orange segments on top of the spinach. Season with black pepper. Whisk sesame seeds, maple syrup, tamari, and water together in a small bowl. Add to salad and toss to mix. What a lovely dressing! This looks delish! thanks!!! it was so quick and easy and I had everything in the house 🙂 perfect! !